COMING AUG. 2! 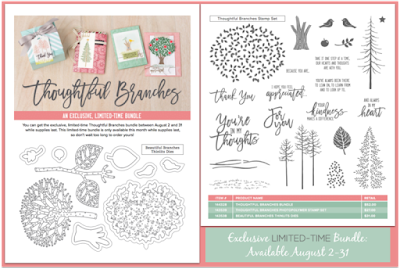 ORDER AN EXCLUSIVE, LIMITED-TIME BUNDLE! AUGUST 2-31 ONLY! 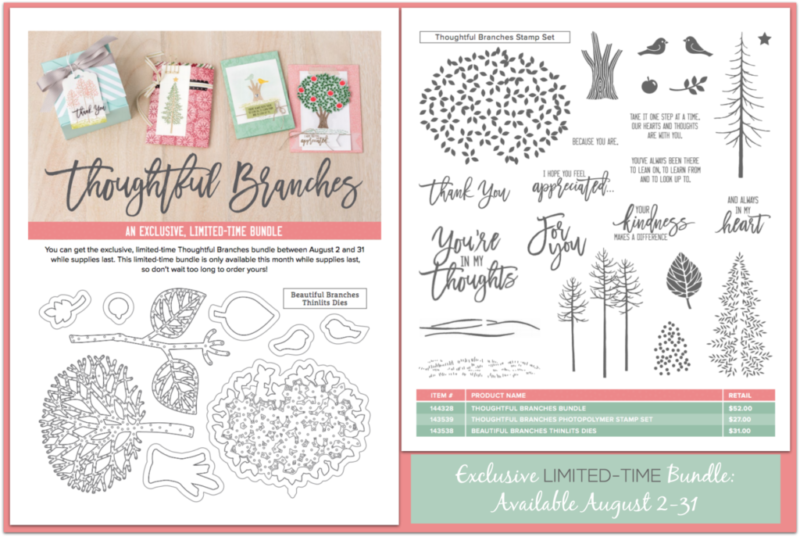 You may use your Bonus Days coupons* on the Thoughtful Branches Photopolymer stamp set, Beautiful Branches Thinlits Dies, Thoughtful Branches Bundle OR ANY Stampin’ Up! products (excluding Starter Kits and Paper Pumpkin subscriptions – new prepaid Paper Pumpkin codes can be redeemed). Here are the Item# and price. Remember you can order the bundle only between August 2 and 31st. 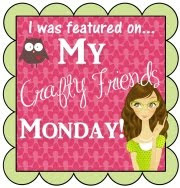 *Bonus Day coupons are earned for every $50 in Stampin' Up! merchandise you order between now and the end of July. 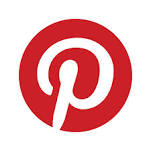 You need an e-mail address to receive your coupon. 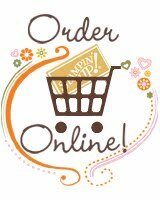 If you need help with your order please let me know.